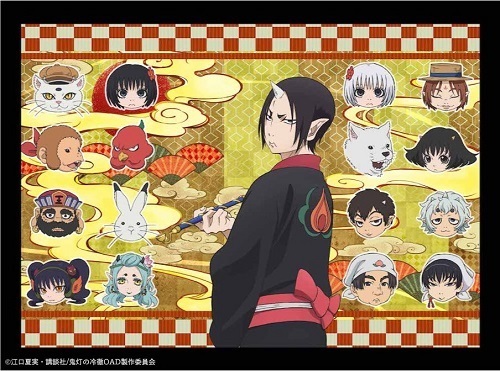 The official website for Hoozuki no Reitetsu anime series has announced that three more OVA will be released. They will be bundled in 29th through 31st volumes of the manga, releasing on September 20, March 23, 2020, and sometime next year, respectively. Studio Pine Jam will produce the new OVA series. Hoozuki no Reitetsu has been serialized in Morning magazine since March 2011 and currently has 27 volumes in print. Wit Studio adapted the first season into a 13-episode TV anime in Winter 2014. Four OVAs were bundled with 17th, 18th, 19th, and 24th volumes of the manga between February 2015 and March 2017 before Studio Deen took over two split cours of second season in fall two years ago and last spring. I have noticed that shows deeply steeped in Japanese folklore don't work well in the west. It's not readily 'reachable' for lack of a better word, not sure how to phrase that well. Furthermore, the lack of a non-japanese dub limits the popularity it can have. All popular anime almost always have english dubs. That's awesome, I absolutely love this series. Always happy to get more Hoozuki. This is the reminder that I need to finish hoozuki. Oh boy, once again it'll be on my watching list for years while I wait for subs! Great news! Really enjoy this show, more people need to watch it! I Wonder why this show is not really popular in west?? This is some really good news in a while! I also hope they decide to do a new season when there's enough source material!